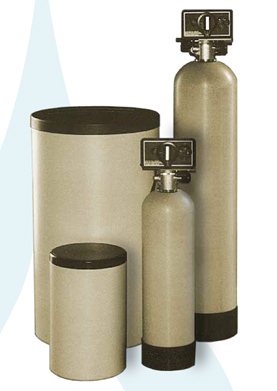 The DUF commercial softener series is designed for high temperature water softening applications. The integrated control design features automatic 6 cycle regeneration with 12 day clock, assures reliable performance. Salt storage containers are fabricated of rigid high-impact nontoxic material and will not crack, rust or corrode. The seamless integral vessels are fabricated with no welds or bonded joints for higher temperature use.